Its here!! Sony's best in a smartphone - XPERIA Z. The much awaited Sony's flagship device is here in India. The phone was initially revealed at CES 2013 where it was marketed as 'water-proof and dust-proof smartphone' with all top-notch hardware specifications. Xperia Z is priced at ₹37,990 in India. Lets go through every aspect of this smartphone and see how much effort Sony has put into this thing. No doubt, the phone looks stunning. Sony has really put in a lot of effort on making this phone look different from existing ones and they have succeeded to some level. (HTC One aluminum shell casing takes away the crown). The phone is glass-cased just like iPhone 4/4S from front and back which makes the phone very fragile to drops and it's not even Gorilla Glass which is quiet a turn down. Xperia Z being a water-proof phone, all the ports are covered with a clip-case. This is quite annoying as one has repeatedly open and close those ports for multiple purposes like listening to songs, charging, data transfer etc. Sony Xperia Z comes with 5.0 inch FULL HD TFT capacitive touchscreen with resolution of 1080x1920 pixels carrying a pixel density of 441 ppi. The phone is also powered with Sony Mobile BRAVIA Engine 2 which makes sure that user is never disappointed with the visual experience of the phone. 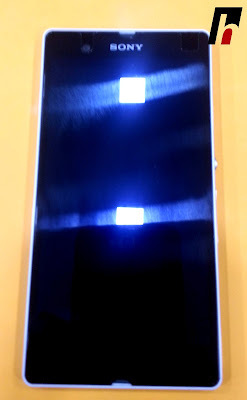 Not Gorilla, but Xperia Z does come with Shatter proof and scratch-resistant glass. Xperia Z is powered by with 1.5 GHz Krait Qualcomm MDM9215M / APQ8064 Quad-core Processor with Adreno 320 GPU and 2 GB RAM. It comes with a built-in 16 GB internal memory which is expandable upto 64GB via Micro SD slot. 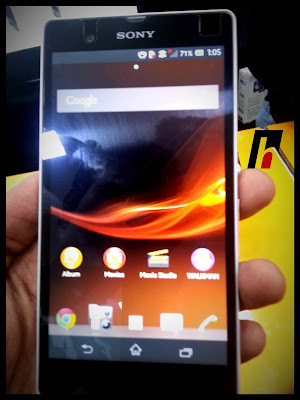 Sony Xperia Z runs Android 4.1.2 (Jelly Bean) which means you get Google Now, Project Butter and many other improvements. 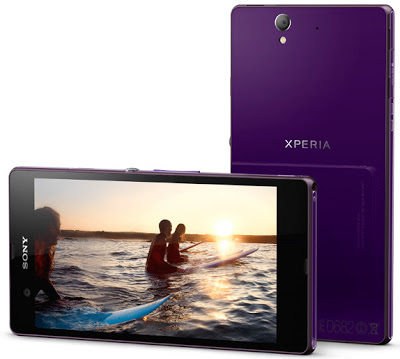 Xperia Z packs in 13MP primary camera with autofocus and LED flash producing images with resolution of 4128x3096 pixels. The additional features includes face detection, image stabilization, HDR, sweep panorama. It record videos at 1080p @ 30fps with video stabilization. It also features a 2.2 MP secondary camera which too records video at 1080p @ 30fps. 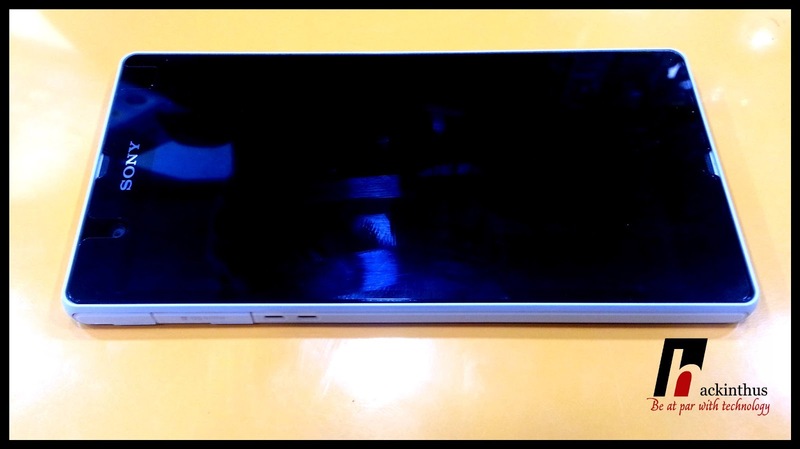 Sony Xperia Z is juiced up by 2330 mAh non-removable battery which will keep your phone up for a day on moderate use. But if you are social-freak, it might disappoint you. 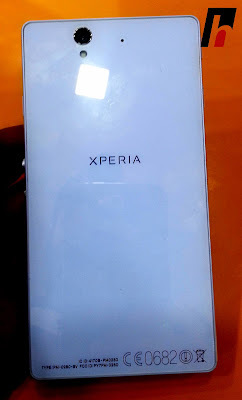 Overall, Sony Xperia Z is really nice smartphone for the current market. Where all other companies are launching their flagship devices at a price tag of 43-45k, Sony is giving you similar configuration at a much lesser price and great performance. 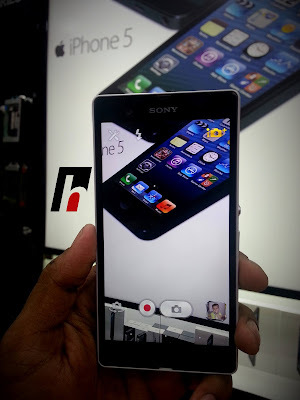 We Like Sony Xperia Z..! !